by John Wesley Martens. 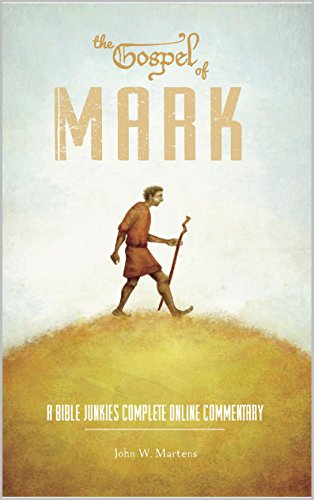 The Gospel of Mark Commentary is the first of the Bible Junkies Commentaries which will ultimately cover the entire New Testament. The commentaries will emerge, like the Gospel of Mark Commentary, on the website www.biblejunkies.com in a series of weekly installments which will then be revised and crafted for book form. The goal is to bring solid biblical scholarship to as broad a readership as possible and to make this scholarship accessible to anyone who is interested in exploring the Bible. The goal of Bible Junkies is not to create controversy and rancor, but to create meaning and to provide readers with comprehensive insights into each book of the New Testament. The ultimate goal is to addict you to the truth, to make you a Bible Junkie.